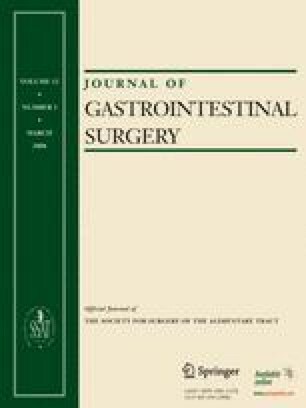 This study was undertaken to determine changes in the frequency of, volume of, and outcomes after pancreaticoduodenectomy 6 years after a study denoted that, in Florida, the frequency and volume of pancreaticoduodenectomy impacted outcome. Using the State of Florida Agency for Health Care Administration database, the frequency and volume of pancreaticoduodenectomy was correlated with average length of hospital stay (ALOS), in-hospital mortality, and hospital charges for identical periods in 1995–1997 and 2003–2005. Compared to 1995–1997, 88% more pancreaticoduodenectomy was performed in 2003–2005 by 6% fewer surgeons; the majority of pancreaticoduodenectomies were conducted by surgeons doing <1 pancreaticoduodenectomy every 2 months. In-hospital mortality rate did not decrease from 1995–1997 to 2003–2005 (5.1 to 5.9%); in-hospital mortality rate increased for surgeons undertaking <1 pancreaticoduodenectomy every 2 months (5.5 to 12.3%, p < 0.01). For 2003–2005, frequency with which pancreaticoduodenectomy is conducted inversely correlates with ALOS (p = 0.001), hospital charges (p = 0.001), and in-hospital mortality (p = 0.001). In Florida, more pancreaticoduodenectomies are carried out by fewer surgeons. Mortality has not decreased because of surgeons infrequently performing pancreaticoduodenectomy. Most pancreaticoduodenectomies are still undertaken by surgeons who conduct pancreaticoduodenectomy infrequently with greater lengths of stay, hospital costs, and in-hospital mortality rates. To an even greater extent than previously documented, patients are best served by surgeons frequently performing pancreaticoduodenectomy. Presented at the 2007 Annual Meeting of the American Hepato-Pancreato-Biliary Association, April 19–22, 2007, Las Vegas, Nevada.